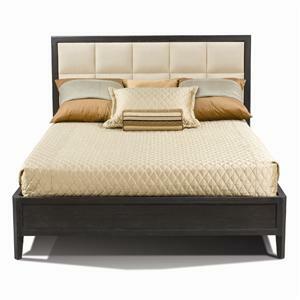 The quilted look to the Divi Bed sets the mood for comfort combined with contemporary style with this platform bed. Customize the look of the upholstery with your choice of fabric and leather options. Use the Queen Divi Bed to create a wall unit with two 1928 Divi Night Stands and two Divi panels with upholstered centers. Optional solid wood cleats allow you to securely attach each piece for a striking pier bed. 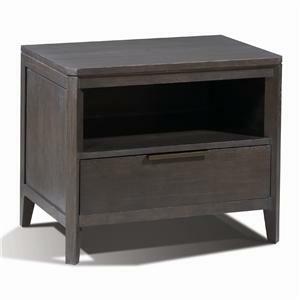 Enjoy the flexibility of two drawers and an open storage space with the Duo Night Stand. This contemporary nightstand makes the ideal bedside piece with room to keep a book, your eyeglasses, as well a lamp and accessories within easy reach. 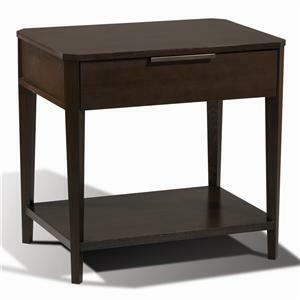 This finely crafted, solid wood nightstand makes a great piece to enjoy daily for years to come. Add visually appealing style to a bedroom, living room, or other area in your home with the Sorcery Mirror. 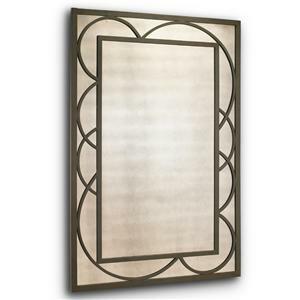 The rectangular mirror features a metal frame with scalloped metal accent and antiqued glass in the outside border and clear glass in the center. This stylish mirror reflects light for a bright and spacious feeling atmosphere. 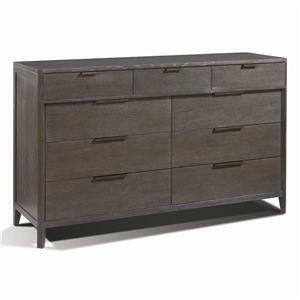 Modern hardware adds great appeal to this useful nine drawer dresser with a wood top for your master bedroom suite. The simple yet classic style of the dresser offers plenty of room to organize clothing, undergarments, jewelry in the top right side jewelry tray, accessories, and other items with care and allow for easy organization. The top of dresser allows further room to highlight decorative accents to reflect the character of your bedroom. 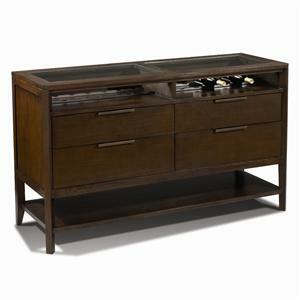 The modern hardware of the Monterey Buffet with a glass insert top adds gorgeous storage and serving space with a mid-century modern flair. Dress up your dining room and create a place to keep your wine in the two removable open bottle supports for up to 14 bottles, china, flatware, glassware, and other accessories with the four drawers and shelf of this buffet. The top surface provides a great place to serve up food and drinks for dinner guests or put together an impressive display of decorative items. Add visually appealing style to a bedroom, living room, or other area in your home with the 40 inch diameter Nona Mirror. 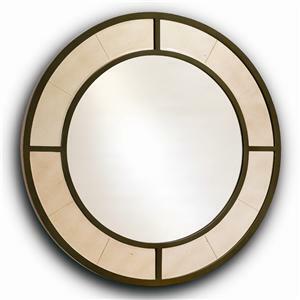 The round mirror features a metal frame with antiqued glass in the outside border and clear glass in the center. This stylish mirror reflects light for a bright and spacious feeling atmosphere. This open contemporary bookcase provides a great place for a voracious reader to keep a book collection and a collection of decorative accents. The narrow center column of rows offers a unique place for a few books or small collectibles. Metal details on front and back of shelf insert add texture with the combination of wood and metal. 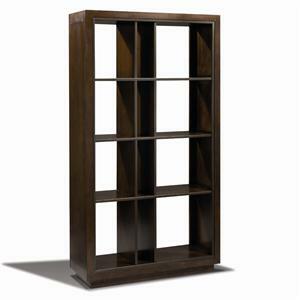 This sleek bookcase is finely crafted for years of use as a beautiful accent and storage piece in a living room, bedroom, or home office. 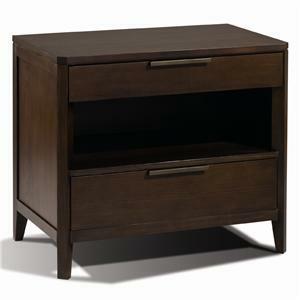 Enjoy the flexibility of one drawers and an open storage space with the Divi Night Stand. This contemporary nightstand makes the ideal bedside piece with room to keep a book, your eyeglasses, as well a lamp and accessories within easy reach. This finely crafted, solid wood nightstand makes a great piece to enjoy daily use of for years to come. The Divi Night Stand is sized perfectly to use as part of wall bed with the Divi Wall Bed. 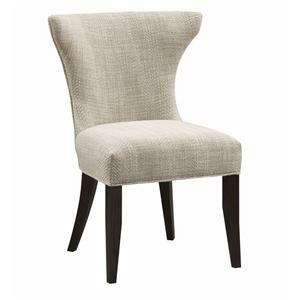 The Numera Chair provides stylish contemporary seating at a dining table or as an upholstered accent in your living room, home office, master bedroom, or elsewhere in your home. The organic shape of the chair back and seat are covered in a light textured fabric that contrasting stunningly with the slim, tapered wood feet. A family-owned and operated furniture company started in 1844, Harden Furniture has a legacy of fine furniture making deeply rooted in American craftsmanship, quality and tradition.